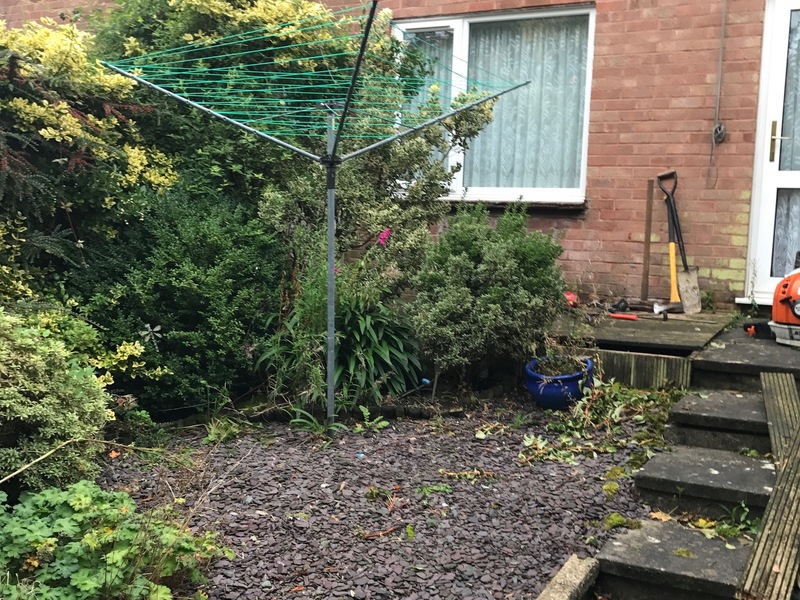 Garden Makeover Waterlooville, Havant, Portsmouth and across the South Coast. 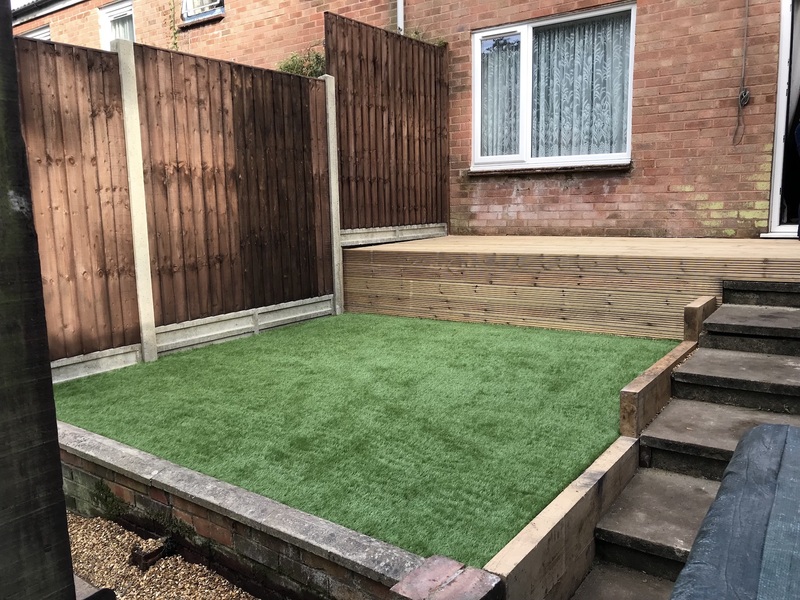 Close-board treated fence panels, concrete posts and gravel boards, treated decking area (re-purposed patio), oak sleeper retaining wall and a high quality artificial lawn. No area too small for a garden makeover Waterlooville.